Here at Improving, our company culture and values are driving factors in our day to day business. They encourage both the inspiration and motivation to achieve amazing things. We are constantly striving to live out our values of Excellence, Dedication, and Involvement through a foundation of trust, not only with our clients but with each other as well. We aspire to do this through creating transparency, delivering results, continuously improving (pun intended) and keeping our commitments. In doing so, we have developed a culture that fosters relationships and shares in the successes of others. On November 1st, Improving - Houston was named the #1 Top Workplace by the Houston Chronicle in the small category. For this award, there were 253 companies that qualified to participate and over 81,000 individuals who took the workplace survey. 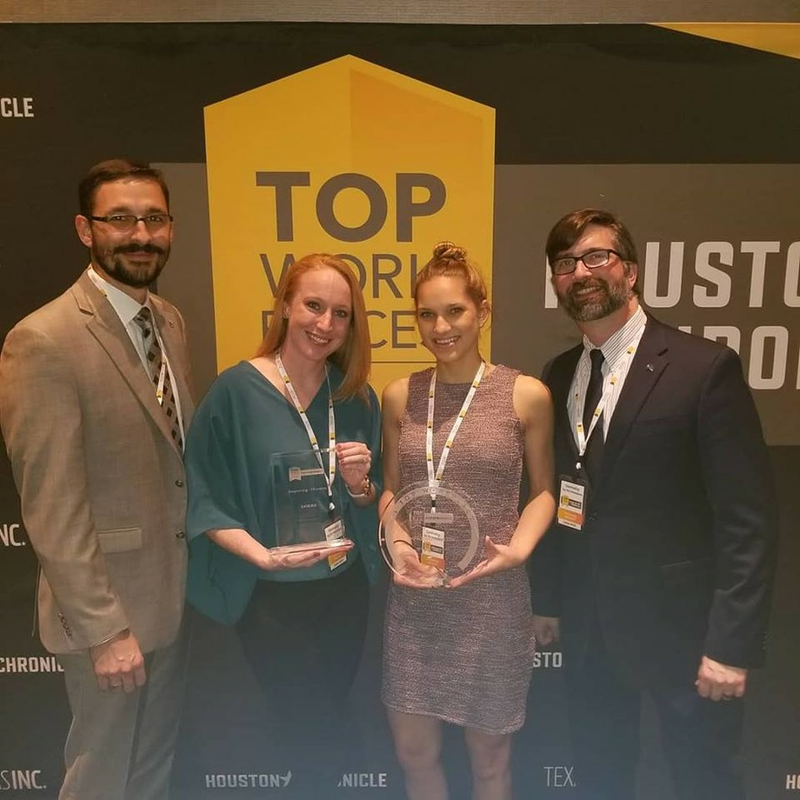 This was the first year that Improving - Houston qualified for the Houston Chronicle Top Workplaces award and President Devlin Liles graciously accepted the award at a dinner gala. Within the Top Workplaces awards, they were awarded the top-ranking company for the Doer's category, which is their definition of top execution. A common phrase here at Improving is that “Vision Without Execution is Hallucination” and it is that mindset that set us apart from the many other great companies participating in the awards. For both awards, Improvers were anonymously surveyed about their experience working with the company. Scores are based on corporate culture, amenities, benefits, work and attraction strategies. Both the Houston Business Journal and Houston Chronicle recognize companies in the Houston area that demonstrate a positive company culture and Employee Appreciation. We are dedicated to creating and maintaining a culture that exemplifies teamwork, excellence and fun. 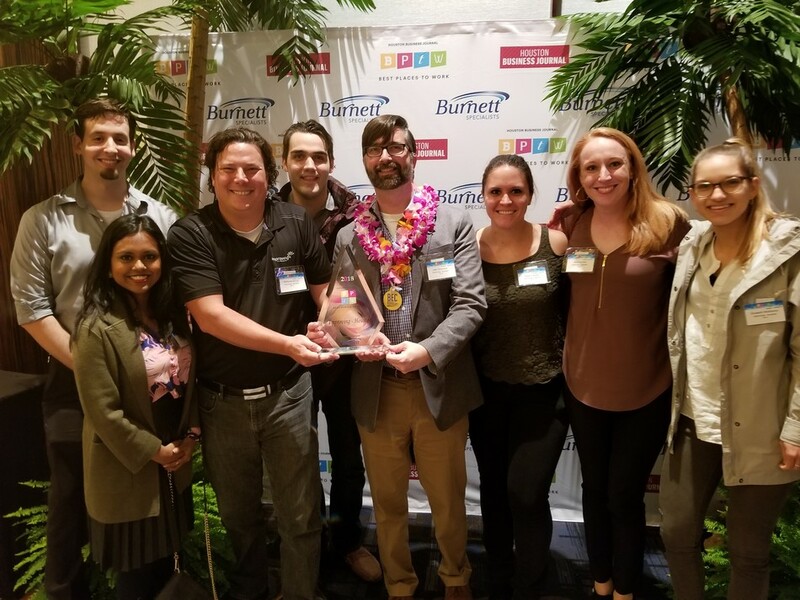 We are thrilled to be featured on both of these prestigious lists with many other companies who share a similar commitment to making a great place to work.